Hey, it sounds like a Deja Vu for me, but here i am again, leaving Buenos Aires for the second time in 3 days. now it's for real. i am heading north along the border with Uruguay, and luckily i will pass the border by land. 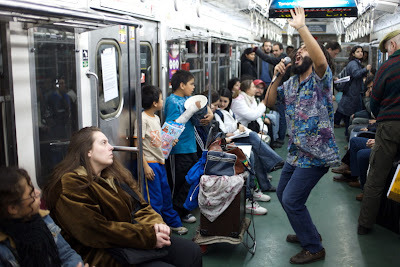 so, before i leave i just wanted to show you some great musicians who work on the subway of Buenos. Ariel Murolo, a Bandeoneon player. 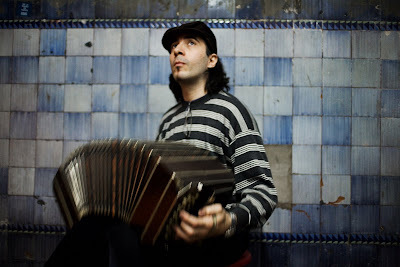 The Bandeoneon is a very close relative to the Accordion we all know from Ritmika lessons in Kindergarden. 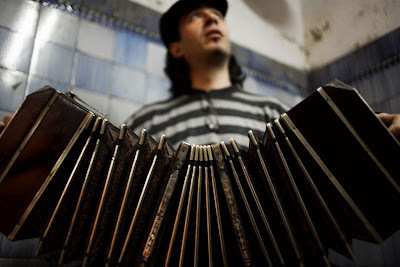 It is the typical instrument for Tango Music . The second guy i met a day after the bad news from the border checking. i had such a bad mood , i thought nothing would make me smile for the next week. i sat on the train, face down trying to pass time. 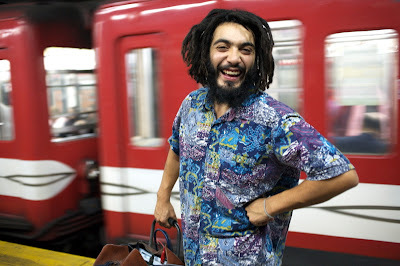 the train stopped at one of the station and some sweet funky reagge sounds came from the distance. i started smiling and tapping with my feet on the floor. the train started to move again, but the music didn't stop, on the opposite, now there was some wild singing too. and there he was, the great crowd pleaser, Mr. goodvibes.... Sr. Anibal "Familia" Ochoa. 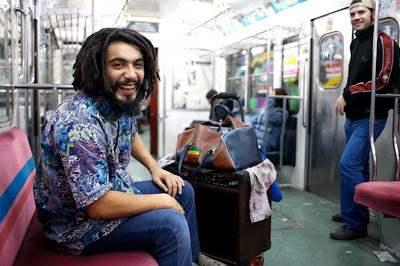 he's 24 years old, living on a suburb south of Buenos Aires. 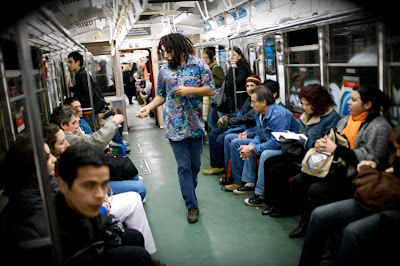 he works in the subway only for 5 months now and what a succes. i guess that working for years on the buses makes you a real professional. he walks around with a guitar amplifier connected to a cd player and a mike. 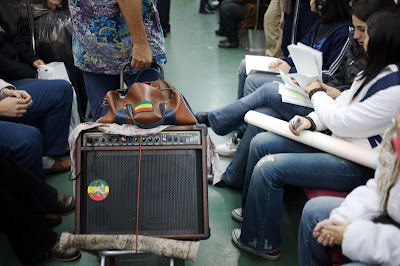 A genuine soundsystem from Jamaica. he sings covers and original words on famous reagge instrumentals, and what a success he's got. 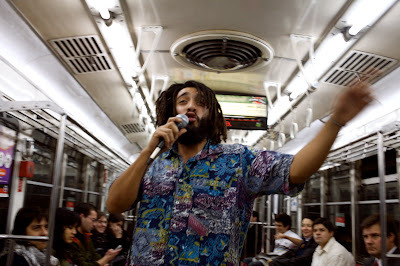 every time he finished a song, the usually fed up and bored subway passengers just couldn't hold themselves from cheering and of course opening their wallets. he sure deserves it !! i took some more pictures of him and offered him a spontaneous photo shoot for his future album, that will come one day. the man was speechless. we did the shoot and then we walked to my home, something like 20 blocks from the train station, at midnight, with a happy reagge soundtrack. another surreal adventure. thanks for all the comments you placed, some personally and some on the blog. it gives me great energy to keep writing. NOW YOU CAN SUBSCRIBE TO MY BLOG IN NO TIME. just press the orange icon on the top right corner of the blog, and you will receive it straight to your RSS viewer (just in case you know what it is). Great Pictures. I especially liked the Bandeon player pictures.